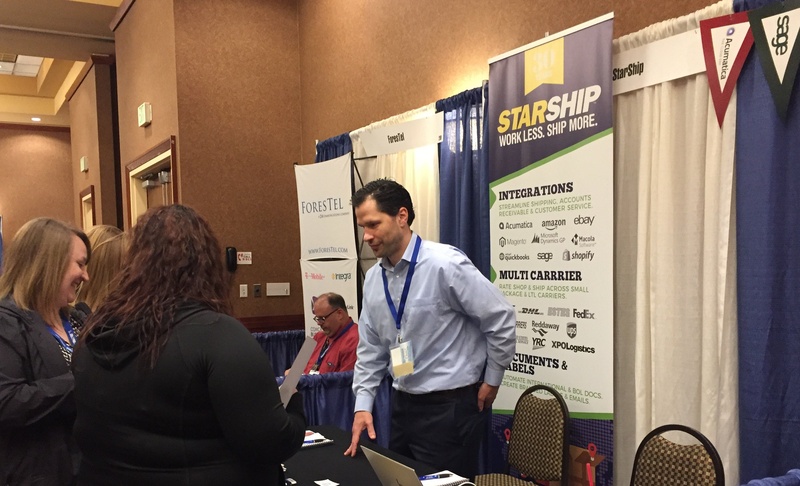 Stop by our booth to say hello and learn how StarShip shipping software combines parcel and freight carriers into one user interface. The bi-directional interface streamlines the entire workflow to gain immediate efficiencies in shipment processing, accounts receivable and customer service. We can create custom emails and labels to strengthen your brand and drive repeat business! Founded in 1987, we offer integrated multi-carrier shipping software that connects the warehouse to the front office. We partner with dozens of parcel and LTL carriers such as DHL, FedEx, Holland, Reddaway, USPS, UPS, YRC and more as well as regional carriers like OnTrac and Pitt Ohio. Our software provides integration between those carriers and popular ERP, EDI, accounting and ecommerce platforms such as Amazon, Acumatica, eBay, Macola, Microsoft Dynamics GP, Sage, Shopify and QuickBooks to name a few.